Since 1952, the ARDC has been driven by the desire to be Australia's preferred club for all sectors of Australian Motorsport - from cars to bikes, beginners to legends; from historics, retros and muscle cars through to the V8 worshippers, super-bikers, drifters and sprinters, to those competing with, or those fans desperate to see, feel, hear and experience the latest machinery the world's best manufacturers can put on the bitumen! Car Competitors have can compete in the annual ARDC Club Championship and ARDC Supersprint Championship. A valid CAMS licence is required to participate in all ARDCcarraces, and is a prerequisite of Competitor Membership. The Enthusiast Membership package is best suited to those who do not race, but still wish to take full advantage of the amazing events and experiences offered to you at Sydney Motorsport Park. While this Membership does not include racing-related benefits, it encompasses all of our amazing offers (for full details please visit ardc.com.au). FREE General Admission entry for you to most events at Sydney Motorsport Park, including World Time Attack, Sydney Masterblast, International Festival of Speed, CMC Shannon's Sydney Classic and Roll Racing to name a few. A 25% discount off your first DRIVESAFE DRIVEWISETM Defensive and Advanced Driving Course. Special ARDC Members Parking Privileges at SMSP events such as FREE Parking or Early Bird Parking Offers. Parking offers; space limitations and onsite locations likely to vary event to event - see event websites for details. There is nothing like getting up close and personal to the thrills and spills of Motorsport. Unless you are there with your mates that is! Enthusiast Plus Members will receive all Enthusiast Benefits, PLUS two (2) Guest Passes1. 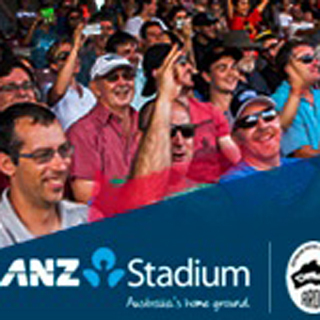 You'll now be able to bring along a couple of your mates to share the excitement and all for a low additional cost. 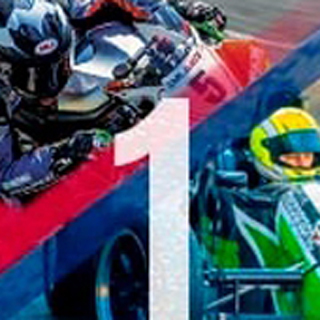 Category A events allow complimentary General Admission access (only) to the ARDC Member (and their Guest if they hold a valid Guest Pass Card). Complimentary Entry to Guest Card holder are at the discretion of the Event Promoter. 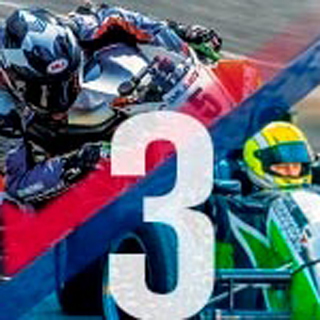 Examples of Category "A" events at Sydney Motorsport Park in 2019 include but may not be limited to Sydney Masterblast,Shannon's Nationals, Australasian Superbike Championship, Roll Racing and CMC Shannon's Sydney Classic. Category "B" events are where complimentary ticket access for Members is not available, or there is a condition on complimentary access for ARDC Members, ie Complimentary access is allowed for the Member, but does not allow for complimentary Guest access, regardless of whether a Guest Card has been issued. Please note that whether an event promoter allows for both Member and Guest it is entirely at the discretion of the event promoter. However the ARDC will use best endeavours to negotiate special offers for Members to these events. The ARDC will clearly note any events throughout 2019 that are designated Category "B" in advance to allow for Members to take advantage of any available special offers. Australian Motorsport relies on an army of officials. At Sydney Motorsport Park we welcome officials for every event run by the ARDC, be the fire and rescue marshals, recovery marshals, grid and pre-grid marshals, pit lane marshals, race control administrators, scrutineers, timekeepers, flag marshals and other key roles. Without your help and experience, we couldn't do what we do! Our Race Officials Membership is a small thank you for all of these efforts. You receive all the great benefits of an Enthusiast Membership as well as special thank you events for all your efforts such as the Officials Cocktail Party and end of year Christmas Party. FREE General Admission spectator entry for you and your Guest* to most events at Sydney Motorsport Park, including V8 Supercars, Muscle Car Masters, Sydney Retro Racefest, World Time Attack, Motorworld Sydney to name a few. Special ARDC Members Parking Privileges at SMSP events for you and your Guest card holder, such as FREE Parking or Early Bird Parking Offers. Parking offers; space limitations and onsite locations likely to vary event to event - see event websites for details. PLUS THERE'S MORE! To further reward your attendance as an official at some of SMSP'S grass roots racing events, we will extend your ARDC Membership by three months for every specified event you attend (up to a maximum of 12 months Membership extension each year). That way you could fully subsidise an annual Membership Fee with just four attendances. ALL Race Official Memberships will be validated by the ARDC. *Events at Sydney Motorsport Park are identified as being Category "A" and Category "B" type events. 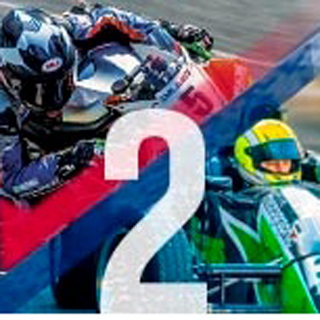 Category "B" events are where complimentary ticket access for Members is not available, or there is a condition on complimentary access for ARDC Members, ie Complimentary access is allowed for the Member, but does not allow for complimentary Guest access. *Guest Card is exclusive to Race Official and is not attributed to Enthusiast Members 3201 and above.